This manual is the culmination of a one-year project, “Building Community Bridges: Outreach to Older Women Project”, which was funded by the 2011 Domestic Violence Prevention Response Fund of the Victim Service & Crime Prevention Division, Ministry of Justice, Province of British Columbia. The project was designed to address an unmet need by facilitating the development of support systems for older adult women who may be victims of domestic violence and other forms of abuse. The aim of the project was to connect older adult women with their peers in a comfortable and familiar environment in order to break down social isolation and increase the likelihood that that they would be able to access the justice system. Through this project, Seniors First BC was able to create and build support groups for older women aged 50+ who live in six different seniors housing complexes. The purpose of the manual is to provide a step by step guide for organizations interested in developing future support groups of this nature. The Building Bridges Community Forums on the Prevention of Elder Abuse – Final Report was compiled by the staff of the BC Centre of Elder Advocacy and Support. This report includes information shared by panelists and participants at three community forums hosted by Seniors First BC in Richmond, White Rock and Squamish in British Columbia. 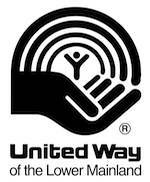 The forums were made possible by the generous funding of the United Way of the Lower Mainland.